When taking a holiday, sometimes it's interesting to see everyone celebrating at the same time. Although it can be a nice break to visit Spain in August at the height of the summer holidays, you're most likely to be surrounded by other British, German, Scandinavian, and American holidaymakers. If that's your only opportunity to take time off work, don't fret and make the most of the occasion, but keep in mind that it's also the time that most Spanish workers take a break and do exactly the same thing as you - take off to a better location! In terms of climate, natural resources, and friendly temperament, you're hard pushed to find somewhere that rates higher than Spain, but that doesn't mean that people don't try! For a fantastic perspective of Spanish life across the country or in a particular region, it's fascinating to witness Spanish public holidays. That's right, not the holidays spent at Costa Blanca beaches, Barcelona hotels, or Madrid museums, but those marked by family and community occasions. Admittedly, August is the time of year when most small villages and towns have their ferias and fiestas; however it's also possible to find entire shops and businesses closed for the duration of the month. Public holidays aren't a good time to do any shopping, as up to 90 percent of commercial centres close, but museums and many bars and restaurants will remain open. What are the highlights of the Spanish calendar of public holidays? Año Nuevo (New Year) is certainly a must-see, however don't expect it to be celebrated as wildly as in Sydney Harbour, or old town squares throughout Central and Eastern Europe. New Year's Eve has its fair share of revellers, and makes a wonderful party - especially with a bunch of grapes! 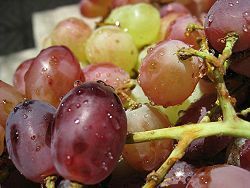 The tradition is to eat one grape each time the clock strikes at midnight, or twelve grapes in twelve seconds. Buy your grapes early though, for as the year draws to a close they can become tricky to find. For a true taste of Spain, or what many British expats call "the Spanish Christmas", the Three Kings Parade is held on the evening of January 5th for the Dia de Reyes (Epiphany) regional holiday on January 6th. 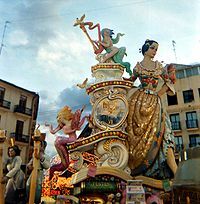 San José Dia Del Padre (St. Joseph's Father's Day), held on March 20, is also a classic affair, particularly in Valencia where they celebrate "Las Fallas", the renowned fire festival.